Buckle up: the gap between commercial space travel and the present moment is rapidly narrowing. Virgin Galactic and Spaceport America (designed by Foster + Partners) recently signed an agreement with the Federal Aviation Administration granting access to airspace in New Mexico, with designs to turn the ground beneath into a commercial spaceflight center. A major milestone in commercial space travel, the agreement arrives the same week as the unveiling of the Dragon V2, a manned spacecraft designed by SpaceX and Elon Musk. The cutting-edge capsule is a major step in building spacecraft that have the same touch-and-respond sensitivity as a helicopter. 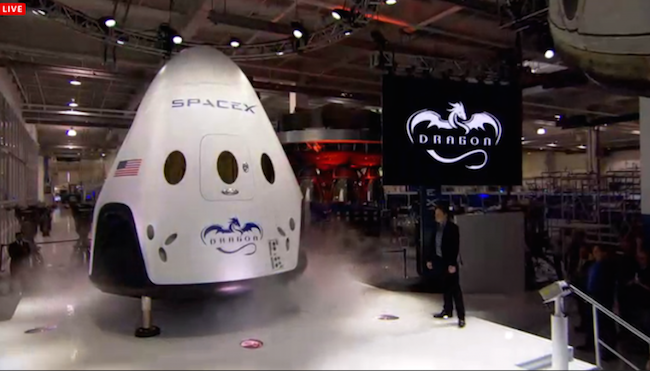 The Dragon’s development fell beneath a NASA initiative to replace the retired Space Shuttle. Maybe it will be used at the new spaceport, also designed by SpaceX and Elon Musk, in Brownsville, South Texas?